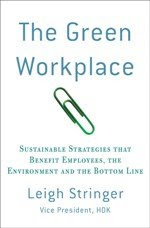 The Green Workplace: Recycled shoes? I became a huge fan of Nike when I was in San Francisco and spent a long weekend walking about the city (over 40 miles on foot in 3.5 days!). My sneakers were old and by the end of the second day, my feet were killing me. I was staying very near Union Square and saw Niketown. I hobbled in there to buy some new kicks…and much to my surprise, they not only took my old nasty sneakers (not even Nikes), but they also gave me a discount for recycling them! I was thrilled and have become a loyal Nike customer. I just found another reason to be loyal to Nike: the company has just released a new basketball shoe, the Nike Trash Talk made from manufacturing waste. This shoe was modeled after Steve Nash’s (of Phoenix Suns fame) shoe, the Nike Zoom BB II Low. The outsole uses environmentally-preferred rubber that reduces toxics and incorporates Nike Grind material from footwear outsole manufacturing waste. For more information on Nike’s commitment to the environment and their Considered design ethos, check out their corporate social responsibility report on line.